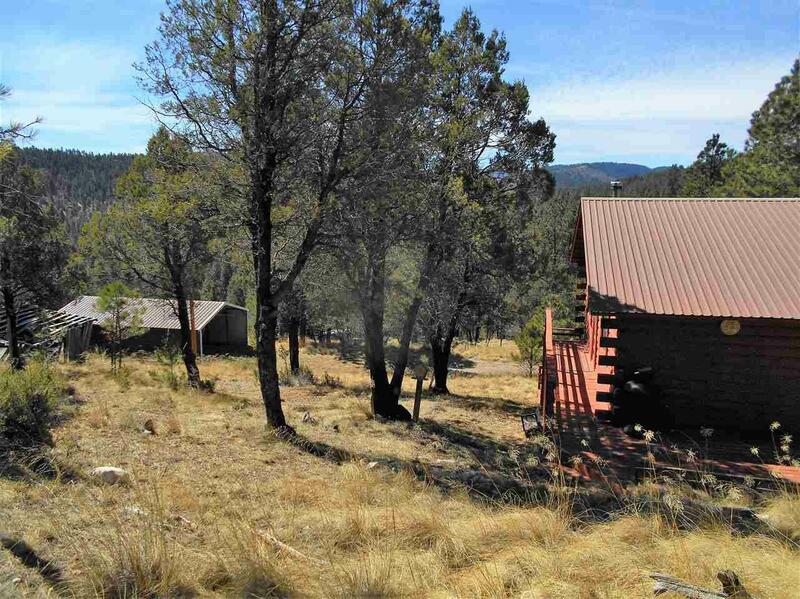 Turn Key Mountain Cabin located on 1.44 acres backing Lincoln National Forest. 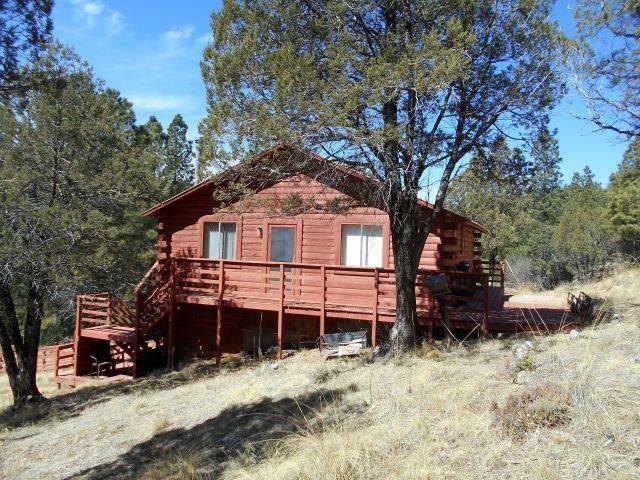 Cozy 2 bedroom, 1 bath single level cabin with a wood burning stove in the living room. Sleeping for 8 people. Home is total electric with baseboard heat in all rooms. It has a 24 x34 detached carport with the last 10ft enclosed with a roll up garage door for storage. Driveway up to back of the house so you can enter without the stairs. 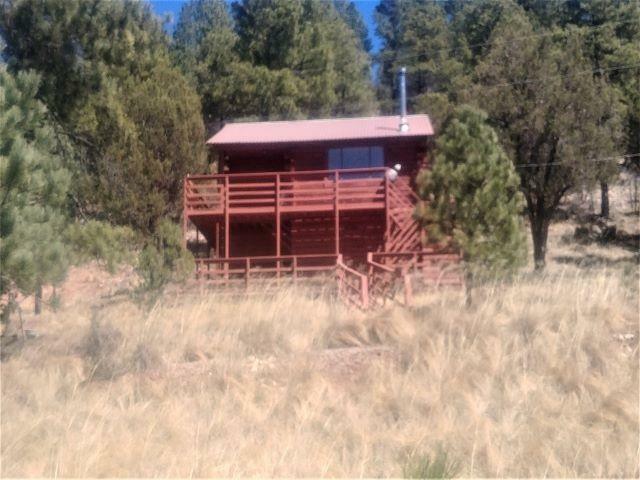 Cabin is located in Unit 34 hunting area. 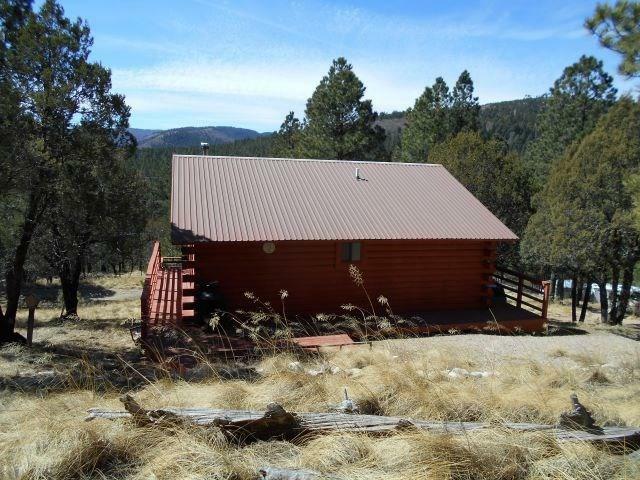 Enjoy the decks, beautiful views, and wildlife!! Utilities Septic System Public Electric Water Assn Satellite Sys.